Ron King is a weaver, farmer, and pacifist living and working on a small farm in Maine. 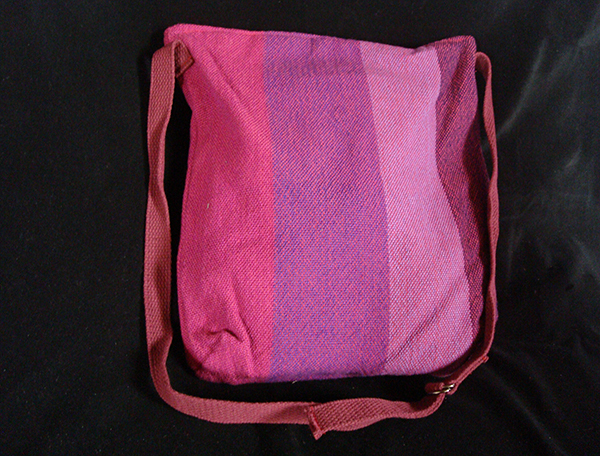 The medium cotton bag is woven of 100 percent prewashed cotton. The bag has a sturdy zipper closure and is lined with 100% cotton with a zipper pocket on the inside. 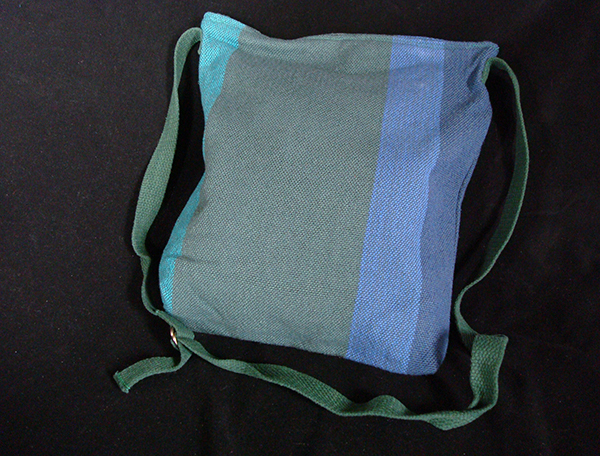 The medium cotton bag has an adjustable shoulder strap for easy use. 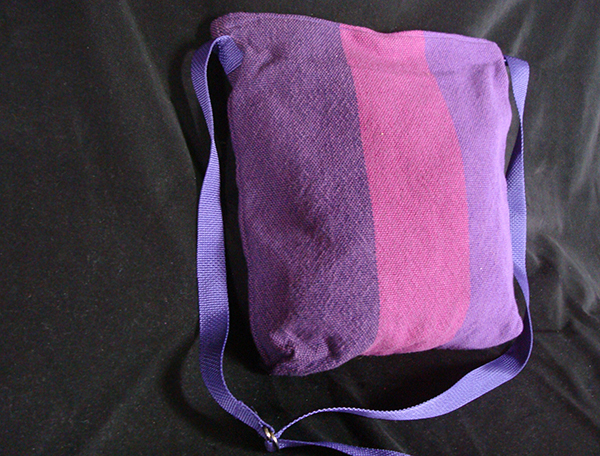 The medium cotton bag measures 10"W X 14"H X 3" D.